Some critics thought the subject matter of Dear White People would be too "challenging," but Simien tells us why he saw the film and TV show as more of an opportunity than a challenge. What do you look for when you're deciding what to watch? For a lot of people, going to the movies or turning on the TV is about escapism, or the comfort of rewatching a sit-com with familiar characters and low-stakes romantic troubles. When you're up against escapism and comfort, it can be hard to convince people to watch something that's really challenging. 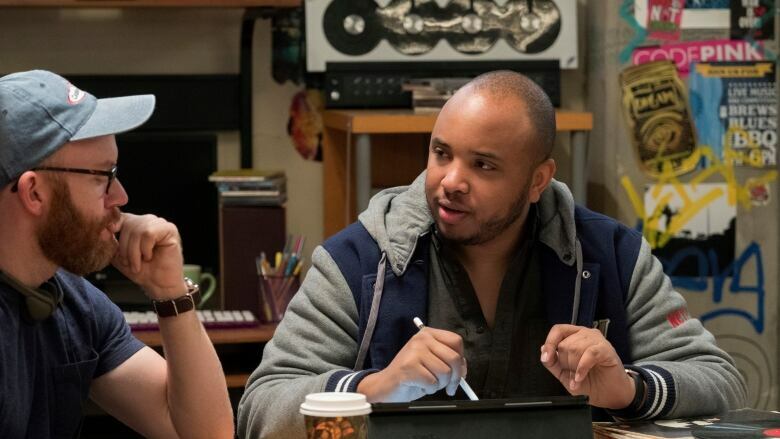 Justin Simien experienced that back in 2014 with a movie he directed called Dear White People. The film was set on a fictional Ivy League campus, and it used that setting to tell some hard truths about race, class and gender. While the film was praised by critics, some still wondered if that kind of subject matter would be too "challenging" for a larger audience. Fast forward four years and Dear White People is now a TV series in its second season on Netflix. Simien tell us why he always saw Dear White People as more of an opportunity than a challenge.